As millions of people around the world enjoy their annual summer vacations, Pope Francis is providing a beach escape for those who cannot afford them. In the latest sign of Francis’ concern for the poor, the pope’s almoner—the Vatican official in charge of distributing alms—is treating homeless people in Rome to a trip to the beach and to a pizza dinner on the way back home. “We continue, with the Swiss Guards and the gendarmes [Vatican police officers], to take food to the Rome railway stations in the evening,” Archbishop Konrad Krajewski told Vatican Insider, a column published by the Italian daily, La Stampa. On Aug. 15, he used the Feast of the Assumption of the Virgin Mary to reinforce his message on protecting women. 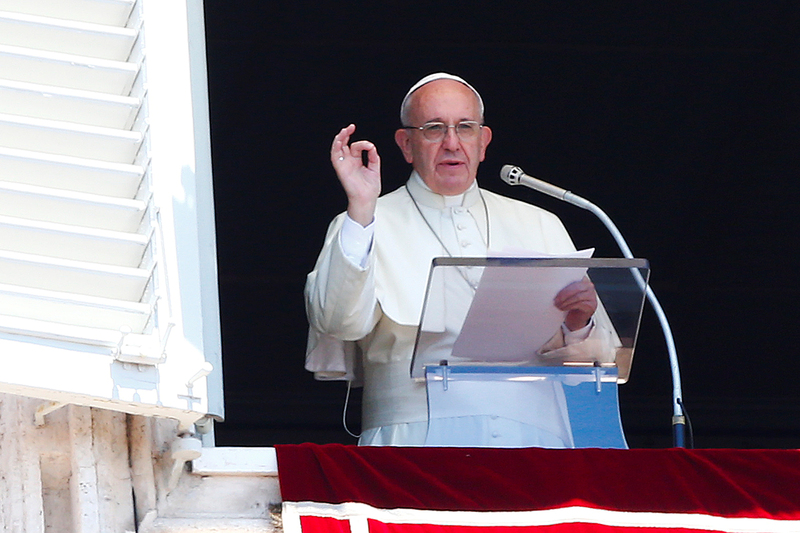 In a Sunday noontime address on Aug. 14, the pope warned that the church was in danger of becoming “an administrative or bureaucratic” institution and called for more impassioned missionaries with “fire” in their hearts. Without the "fire" of the Holy Spirit, he said, the church "becomes a cold or merely lukewarm church, incapable of giving life, because it is made up of cold and lukewarm Christians."